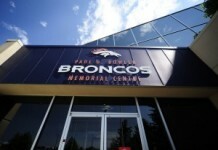 Last offseason appeared to be the most important one of John Elway’s tenure as the general manger of the Denver Broncos. After failing to make the playoffs for the first time since joining the Broncos’ front office, Elway was tasked with finding a new head coach, along with fixing an offensive line that struggled all season long. This time around, the Broncos have an even more difficult dilemma: solving the quarterback question — for good, this time. Though it’s probably (a little bit) too soon to label 2016 first round pick Paxton Lynch a bust, it has also been difficult to make a case for him as the quarterback of the future. Appearing in only two games this year, Lynch’s season was limited due to a shoulder injury suffered in the preseason coupled with an ankle injury suffered in week 11. In his only full game of 2017, Lynch played relatively well against the Kansas City Chiefs, but muddied his two-touchdown performance with two badly thrown interceptions. Perhaps Lynch will eventually grow into a solid starting quarterback, but with an elite defense that is in position to win now, the bottom line is that the Lynch doesn’t give the Broncos the best chance to win heading into 2018. That fact was not yet determined this time last year, which gave the Broncos the luxury of leaning on the hope of developing their former first-rounder. This time around, the Broncos know for a fact that none of the quarterbacks on the active roster are the long-term answer under center. The Broncos loomed as a possible destination for former quarterback Tony Romo last season, but they felt that they Broncos had a couple of fallback options. 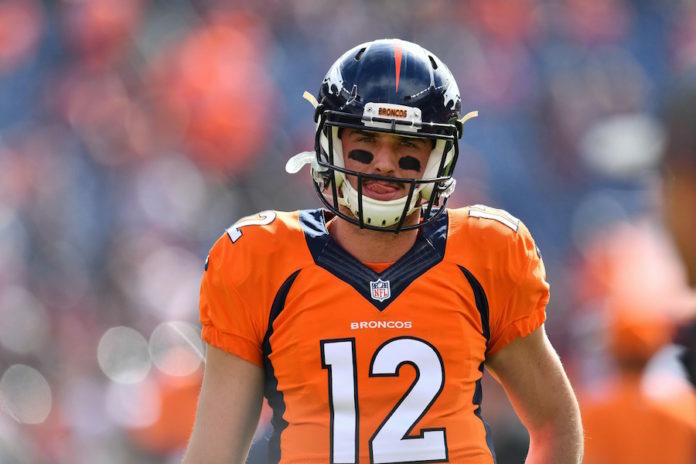 They would likely start Paxton Lynch and evaluate his growth throughout the season, and if all else failed, Trevor Siemian was on the roster to fill in at quarterback until Lynch proved he was ready to shoulder the load. 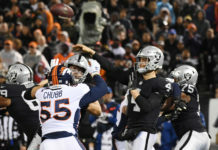 It seemed a win-win situation for the Broncos, who got an upgrade at quarterback in Romo or went to Lynch, who they thought was a star-in-waiting. After watching the trio of Siemian, Lynch and Brock Osweiler struggle throughout the season, however, the Broncos are out of options at quarterback. Osweiler is set to become a free agent, and there’s no guarantee that Siemian will be back with the Broncos next season. 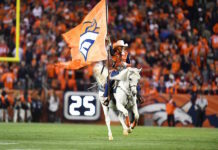 Whether the Broncos choose to select a new quarterback with the fifth pick in the NFL draft or look to acquire one via trade or free agency, the Broncos are on hold, waiting to see what options might available around the league at quarterback. The lackluster play of all three quarterbacks on the roster has forced the Broncos to look past their current signal-callers in their search for their next franchise quarterback — again. It isn’t exactly breaking news, but the dire situation at quarterback will force the Broncos to do what they didn’t feel like they had do last year — look outside of their roster for their 2018 starting quarterback.